The 1920s are often referred to as the Roaring Twenties. You can read more about the era here: Roaring Twenties: How did the 1920s roar? The 1920s was a period of massive change. Technology, industry, art and culture were all shaken to the foundations with the pace and ferocity of these changes. But perhaps the biggest change of all to from the decade was the change to women! In the 1920s, a new type of woman was born. These new women became known as flappers. The new woman of the 1920s had the right to vote. But she also drank, danced, smoked, wore makeup, cut her hair and acted in a frivolous and risk-taking manner! These women were the flapper girls! The ‘new woman’ before the First World War was the Gibson Girl. She wore her long hair with a long straight skirt and a high-collared shirt. The Gibson Girl was feminine but fashions began to break gender stereotypes. Clothes were chosen to be appropriate for cycling and other sports. The Gibson Girl was an independent woman and the forerunner of the flappers to some extent. But nobody could really predict the changes that were to come. Flappers took the new sense of independence for women to a different level completely. The younger generation was breaking away from traditional values and there is no better example of this than the 1920s flappers. The lush, long locks of the Gibson Girls were replaced by short hair. The bob cut was born and styles such as the Shingle and Eton emerged. Make-up was worn extensively, with eye-liner, lipstick and powder becoming all the rage. They openly smoked and drank. Gibson Girls never would’ve dated a man. The 1920s girl broke this convention too and turned society on its head in the process! Flappers are synonymous with independence, free spirit – even rebellion. Another thing they are synonymous with is jazz music. Flappers are one of the iconic images of the Jazz Age of the 1920s. Jazz was the sound of the decade and these girls liked nothing more than dancing! The Charleston and the Shimmy were the dances of choice. The older generation didn’t approve and didn’t understand. This suited the flapper girls down to the ground! 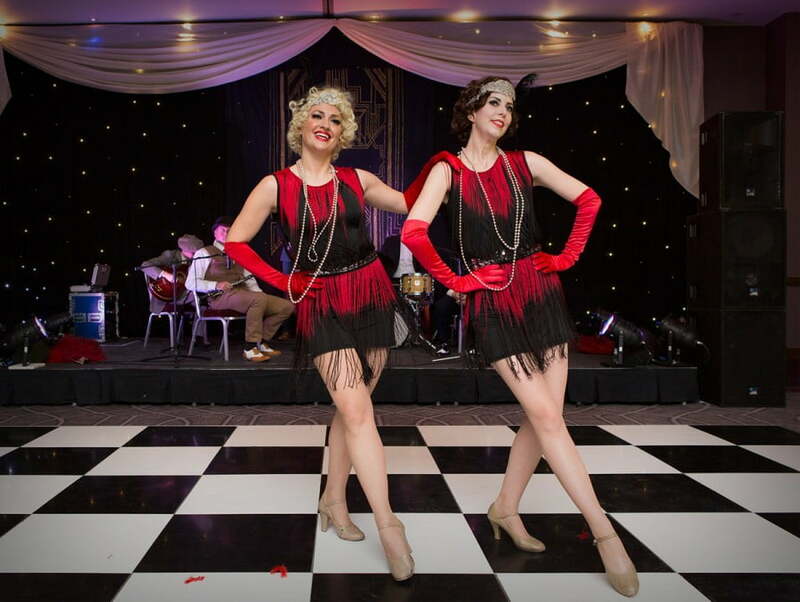 For an authentic taste of 1920s culture,Our 1920s Flapper Dancers are available to hire alongside all Silk Street Jazz line-ups. They can dance freestyle, choreographed and to a live band or recorded track. They can even teach a short dance to your guests!